Chef Jason Gorman. photo courtesy of the Ambassador Hotel. 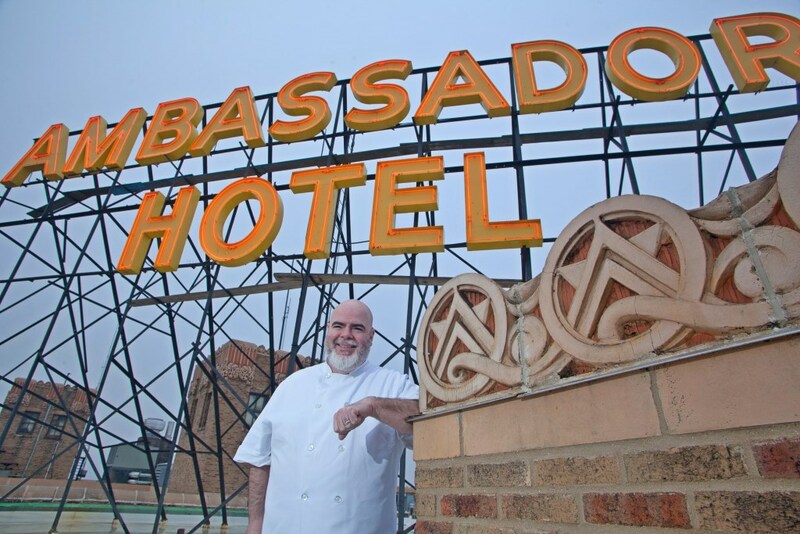 MILWAUKEE (May 9, 2017) – Ambassador Hotel announced today its reimagined food and beverage entities. Currently branded as “Envoy” and “Caffé Deco,” each space will be renovated with a newly distinct look, feel and culinary concept while remaining unified in taking inspiration from the art deco-era décor of the hotel. 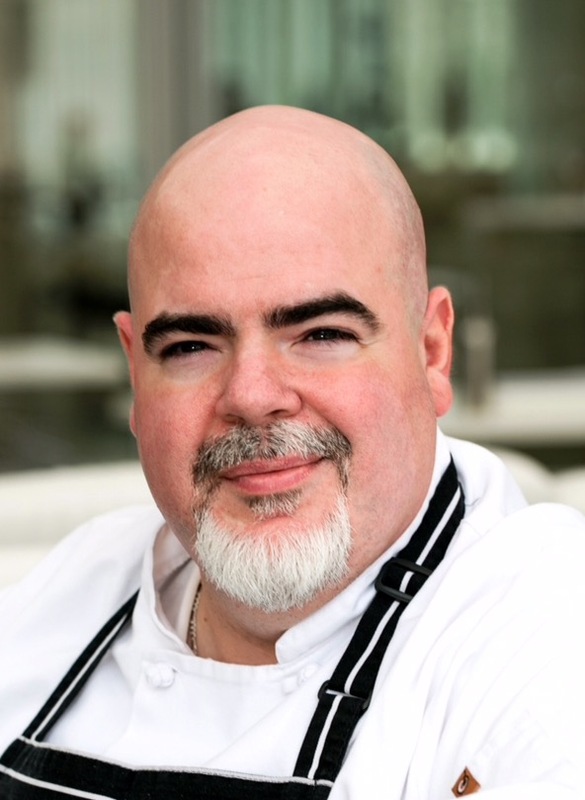 The hotel’s new restaurant will be The Fitz, featuring a menu of bold, creative flavors, crafted by the culinary expertise of Chef Jason Gorman, a recent addition to the hotel. The Fitz’s name is a nod to F. Scott Fitzgerald and his energy and creative storytelling throughout the roaring twenties, the decade during which The Ambassador Hotel was founded. The Fitz will offer breakfast, lunch, dinner and Sunday brunch, each of which will celebrate the rich history of the hotel with Gorman’s contemporary take on the classics. Across the foyer from The Fitz, the Ambassador’s new bar, Gin Rickey, will feature prohibition-inspired cocktails, a separate culinary menu featuring lunch, dinner and late night dining and an extensive craft beer selection. The Gin Rickey – a drink made from gin or bourbon, half of a lime, and carbonated water – was notably F. Scott Fitzgerald’s favorite cocktail. It is the only drink mentioned by name in Fitzgerald’s critically acclaimed novel, The Great Gatsby. It was also one of the featured cocktails on the Ambassador Hotel’s original menu. The Ambassador Hotel’s coffee shop will retain the name Deco; however, it will introduce a new pastry menu featuring homemade creations by the hotel’s new pastry chef, Jennifer Gorman. It will also feature small plate breakfast and casual lunch fare menus. Deco will launch “Deco After Dark” on select nights this summer, featuring wine by the glass, an eclectic appetizer pairing menu and live music. The look and feel of the reimagined spaces will be the perfect balance of simplicity and elegance. To accommodate hotel guests and loyal patrons, construction will be completed in phases over the next six weeks. The Envoy restaurant will close after the conclusion of brunch on Sunday, May 28. Envoy Lounge will close after concluding operations on Saturday, June 10. Full food and beverage service will be available in Deco throughout the renovation process, and all entities will be reopened to the public in time for Summerfest. A shining example of true Art Deco style, the Ambassador Hotel provides an urban oasis near the heart of downtown Milwaukee. Guests experience a remarkable blend of modern amenities and 1920’s Art Deco design. From the original marble floors and bronze elevator doors to the ornate plasterwork, every detail of the Ambassador Hotel is a testament to the bold beauty of Art Deco and the history of the Near West Side of Milwaukee. The Ambassador features 132 newly renovated guest rooms and suites, along with 3,000 square feet of meeting and event space, perfect for any meeting or private event. I’ve always greatly enjoyed the writing of F. Scott Fitzgerald, so I’ll definitely have to to to The Fitz! And I’m glad that the Ambassador Hotel is revitalizing again!